Are you ready to remodel your home or renovate a singular room at your residence in Carefree, Arizona, or a surrounding area? If so, make sure your project is in the capable hands of the experts at Legacy Design Build Remodeling. We will work closely with you to help ensure that your project is completed in a manner that satisfies your highest of expectations. We come backed by the 12th largest remodeling company in the nation, Dreamstyle, so you will be able to rest assured your project is in trustworthy hands. At Legacy Design Build Remodeling, we start off each project by providing you with a complimentary consultation where we will get to know you better and discuss all of the visions and ideas you have for your new space. At this meeting, our team will discuss further with you about the available services we offer and will begin helping you realize how Legacy can make your dream a reality. Afterward, our designers will begin creating a rendering of the new layout for your project. We will stay in constant communication with you to ensure your layout is filled with the unique products and finishes you selected. Once we have your approval on the design, the build team will get to work making it come to life. 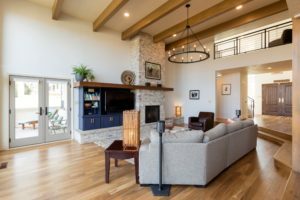 For more information about how we can remodel your home in Carefree, AZ, and the surrounding communities, contact Legacy Design Build Remodeling today. One of our highly-experienced team members will happily answer any questions you may have about our services.